A big part of Disneyland Resort history is being donated to Friends of the California State Fair for Cal Expo. The 11-foot-tall CALIFORNIA letters that once marked the entrance to the Disney California Adventure theme park will once again be on display, this year from July 12-29 at the State Fair in Sacramento. 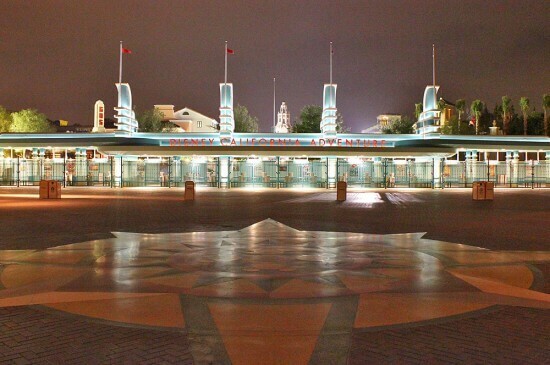 Disney removed the letters as part of the 5-year, $1 billion+ renovation project that wraps up on June 15 with the opening of Cars Land and Buena Vista St within Disney California Adventure. A plaque will accompany the letters, which will stand out to all who attend the event. Awesome! The new entrance looks great, but I hated to think of the letters lying on a landfill somewhere.